These darling rows of flowers are so easy to grow...no green thumb required! What little girl wouldn't love to pick some of these pretty little flowers? Size: Approximately 42" x 49"
Embellishments: Yes. 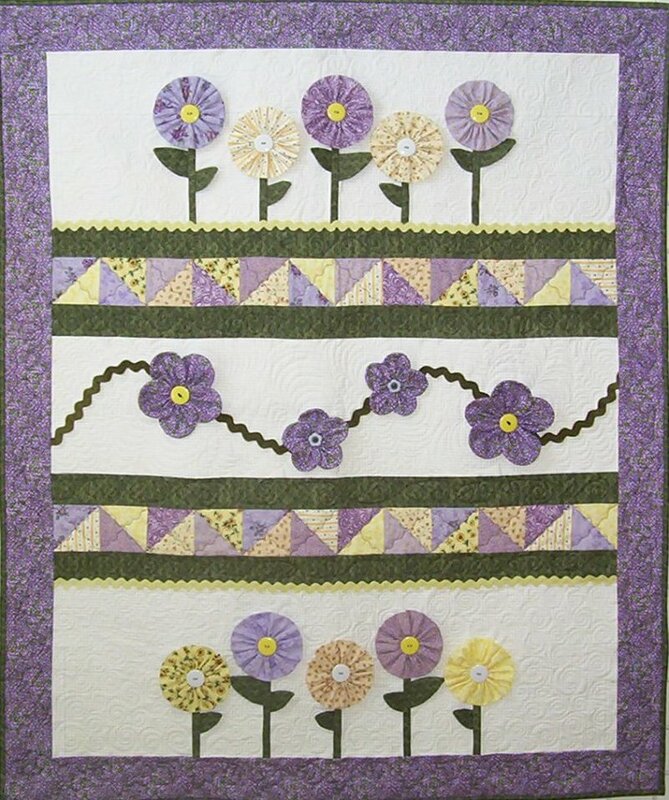 Embellishments include dimensional flowers and rick-rack.